So, you were invited to a wedding and you’re not sure what to wear. The type of wedding you’re attending makes all the difference when deciding what to wear. What is appropriate for a black tie wedding may not be appropriate for a formal beach wedding. Don’t fret; we’ve got you covered on the dos and don’ts when it comes to finding the proper attire. With the help of fashion and wedding experts we were able to put the following guidelines for guest attire, to make sure you look your best. We can also recommend the luxury wedding directory The Ebury Collection, in which we’re featured! Whether you’re a graduate or you find yourself at a graduation ceremony or celebration this summer, don’t let your fashion sense be the road less traveled. For those who need some extra credit in style, let our Summer Collection perk up your grad fashion game. Do you wear the same thing to work every day? Or do you switch it up on a daily basis, letting your schedule, mood, or some other factor dictate your look? Whether your office dress code is strictly business or laid-back, kick-your-feet-up casual, it’s possible to make a sartorial statement. To help out, we’ve put together some suggestions about how to look your best throughout the entire work week. In this time of transition, you may understandably be looking for advice on how to get the most out of your clothing investment. Read on to find out which styles can carry you seamlessly from Winter to Spring – and beyond! Football season is officially wrapping up. The playoffs have ended, which means the Superbowl is just around the corner. Hopefully you’re not feeling too deflated if your team didn’t make it, but if you happen to be a fan of New England or Seattle, then it’s time to express your love like never before. Since you’re not going to be able to show up to the office wearing face-paint or that old jersey of yours, we thought it would be useful to put together some game-day outfit ideas for fans looking to show their support. 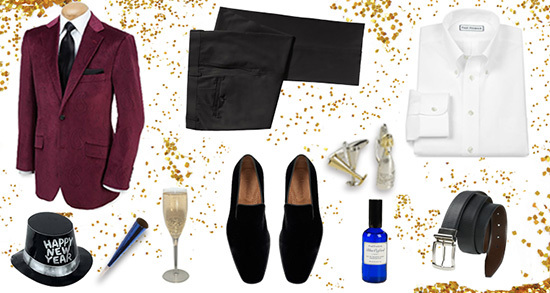 Whatever you’re doing for New Year’s Eve – dancing until (or past) midnight, heading to a champagne soirée, or simply having a quiet evening with friends and family – you undoubtedly want to look your best. 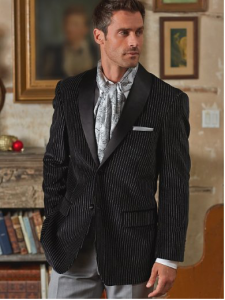 We’ve put together some ideas to help you pick the perfect attire for your celebration, from low key to high society.